Most composites, particularly those made using thermoset resins, cannot be recycled or reused. As a result, most of them end up in landfills at the end of their useful life which is neither sustainable nor environment-friendly. Various laws enacted by Governments around the world and heightened global awareness about sustainability and global warming is changing this situation. Significant research is being conducted in developing and utilizing sustainable fibers and resins, mostly derived from plant, to fabricate 'Green' composites. The significant progress in the past 20 or so years in this field has led to the development of green composites with high strength or so called Advanced Green Composites. More interestingly, green composites have also acquired various different properties such as fire resistance, transparency, barrier to gases and others. The term 'advanced' which only included high strength and stiffness now includes all these special properties. The world is on the cusp of a major change, and once fully developed, such composites could be used in applications ranging from automobiles to sporting goods, from circuit boards to housing and from furniture to packaging. 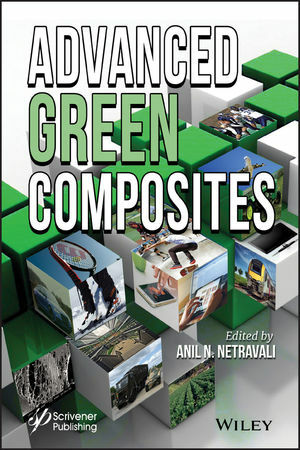 This book, by presenting the state-of-the-art developments in many aspects of advanced green composites adds significantly to the knowledge base that is critical for their success of expanding their use in applications never seen before. The chapters are written by world’s leading researchers and present in-depth information in a simple way.